This is a short and sweet book I must say. It has a great material inside that could actually help the budding authors with its creative ideas and narration. This particular book by the authors speaks about the AIDS and its misconceptions. 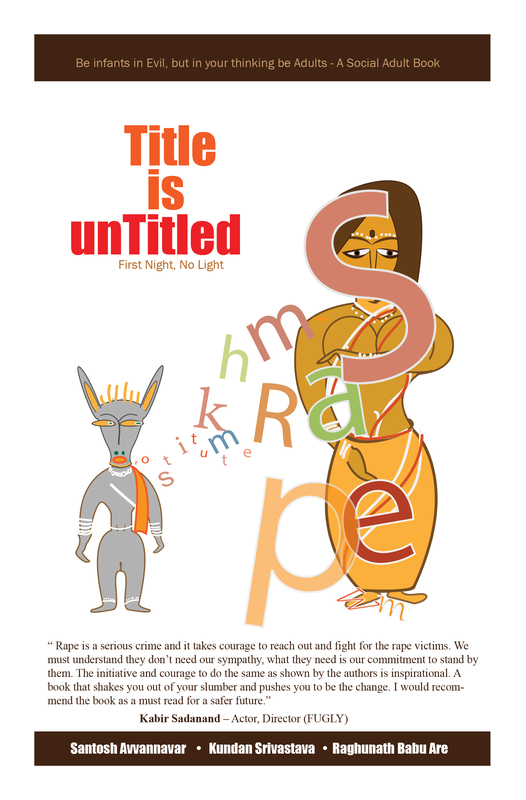 It particularly creates awareness with the conversational type stories that themed around dealing with AIDS infected people and normal beliefs around it. 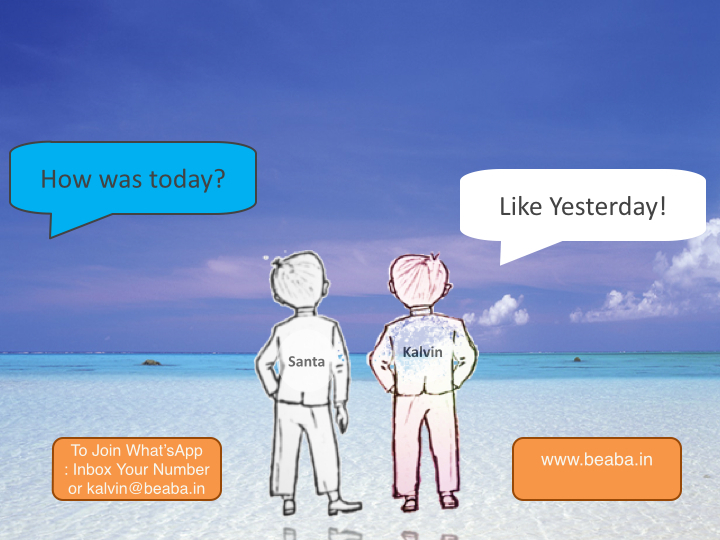 Participation keeps life on toe! 2. 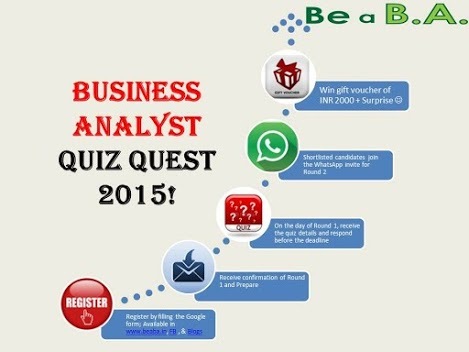 Please forward to your friends and collegues who might be interested to participate. Finally I’ve read a book that kept me thinking for a while. The book made me to realize what is right is not always deemed to be right. This book covers the most important aspects of the modern Indian society and its flaws. 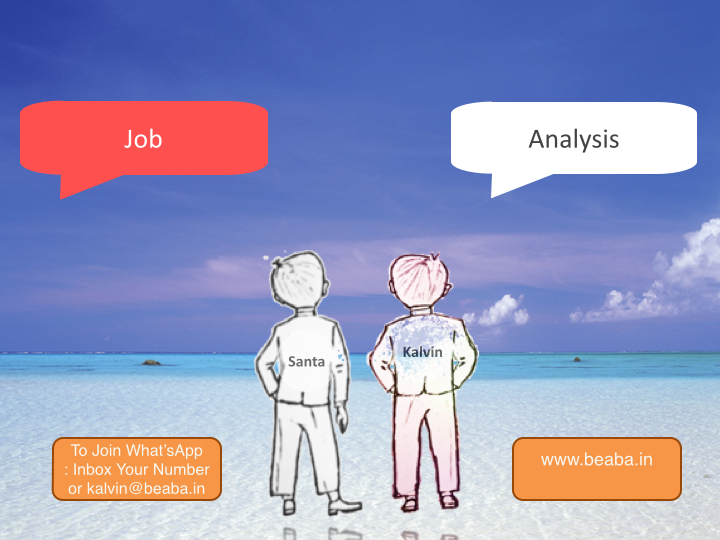 Identification of component tasks of a job in detailed process can be termed as Job Analysis. 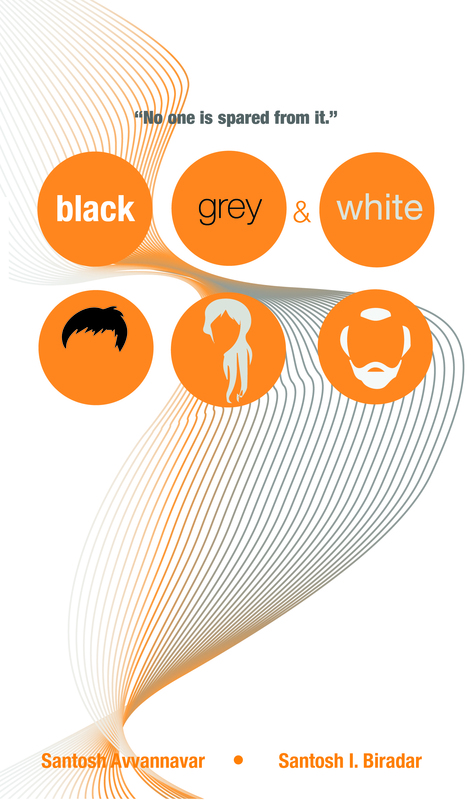 Black, Grey & White by Santosh Avvannavar is a revelation for anybody who desires to witness the flourish of affirmative change in the social order and offers its readers five incredible short stories that has a common endeavour to broaden understanding in relation to AIDS and is a chance for folks to join in the battle against AIDS and illustrate their solidarity for HIV positive individuals who has the right to breathe with their head held high devoid of apprehension of social snub. 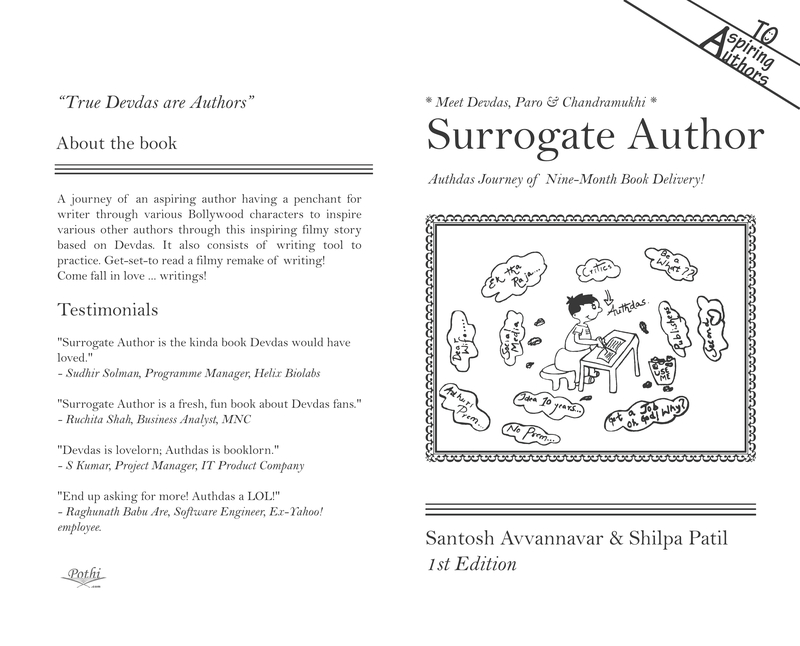 Surrogate Author, by Santosh Avvannavar and Shilpa Patil is the expedition of a wannabe writer having an inclination for writings all the way through an assortment of Bollywood characters to instigate other authors in the course of this stirring filmy narrative based on Devdas. 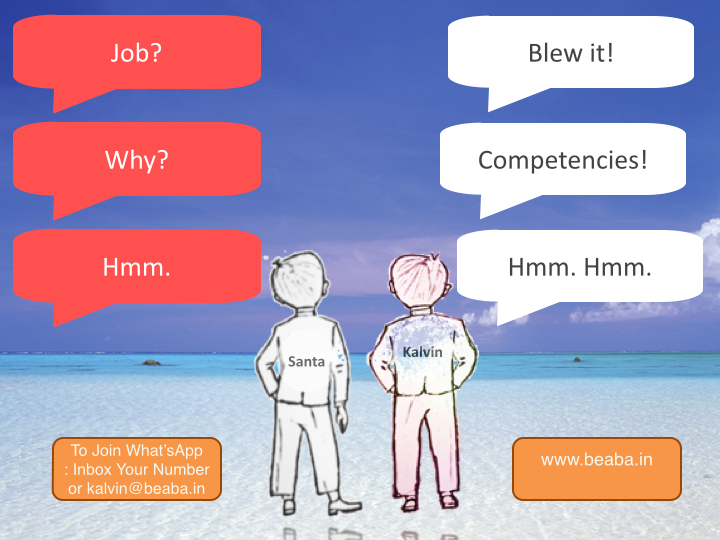 Organisation needs to look into competencies while hiring and for hired ones. The hired competences as well because there is shift in their one or several competencies because of intrinsic and extrinsic factors. Competency affects Utilisation of Resource, T&D, Knowledge Management and Competitiveness. As business exists to grow and make profit to scale and sustain. Hence identification for a particular role can help HR activities in Selection of staff, T&D, Performance Management and Succession Planning. This approach in turn helps the organisation to focus on the core capabilities, maximise the use and design a custom-driven training and development activities to see projected/desired result. Hence HR management can bring impact to entire organisation. Competency = (Relevant knowledge + Skills + Attitudes) – (Required standards) – (T&D). What does the core competencies consists of? So how does it feel to write a new book? It starts with scribbling a few words here and there on the white canvas called the paper. Oops-these days nobody does use a paper-it is on the screens of a computer. Then the scribbling does get momentum-a picture starts to take a shape. It’s a picture full of words-trying to tell a story or tell something. Dam it; it is not important what it tries to say but it is important to say something. It’s like a magician who gets something out of nothing, from his empty hat comes the rabbit, the pigeon and only God knows what.